You loved Jasmine, Loubna, Étienne, Justin and Julian in Foundation last year? 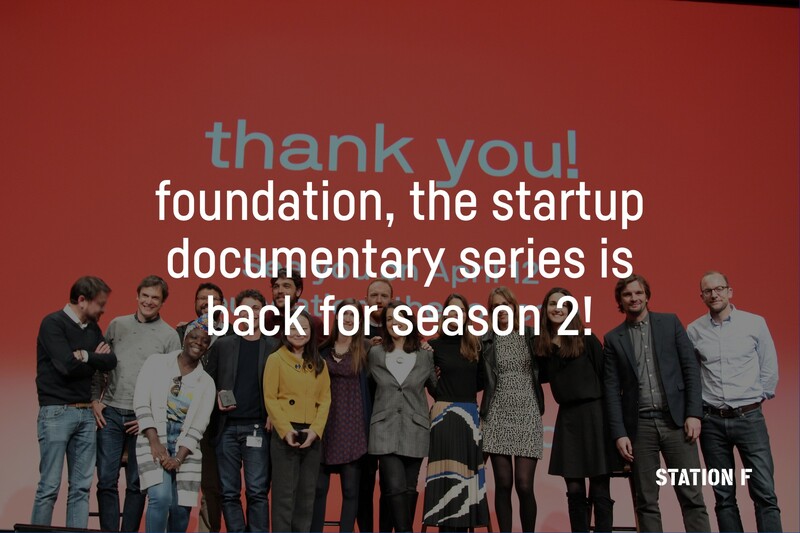 We have a good news for you: after the success of Season 1, the first-ever startup documentary series is back for a second season starting this Friday on STATION F’s social networks, BFM Business and TechCrunch. In Season 2, follow three entrepreneurs in Tech for Good: Binta and Jean from Konexio, Ruben from HD Rain, and Olivier from Roger Voice. In the same spirit as last season, this new edition consists of six episodes co-produced with Le Studio Next in partnership with Allianz, PayPal and Facebook. Olivier Blaecke, award-winning director, followed three of our startups in their everyday life during four months. From Paris to Lilongwe (Malawi) via Toulouse, take part of an exclusive deep dive into the challenges and adventures that entrepreneurs face. Who are the entrepreneurs of season 2? Where can I watch the episodes? Episodes of season 2 will be released each Friday starting April 12 on STATION F YouTube channel, Facebook Page, on BFM Business and on TechCrunch website and network. You will also be able to discover teasing and short content on STATION F’s Twitter and Instagram accounts. What does it feel like to be followed everyday for four months while you’re trying to build a company? During our Monthly Facebook Live, Binta, Ruben and Olivier share with us their proudest and most difficult moments during the shooting.